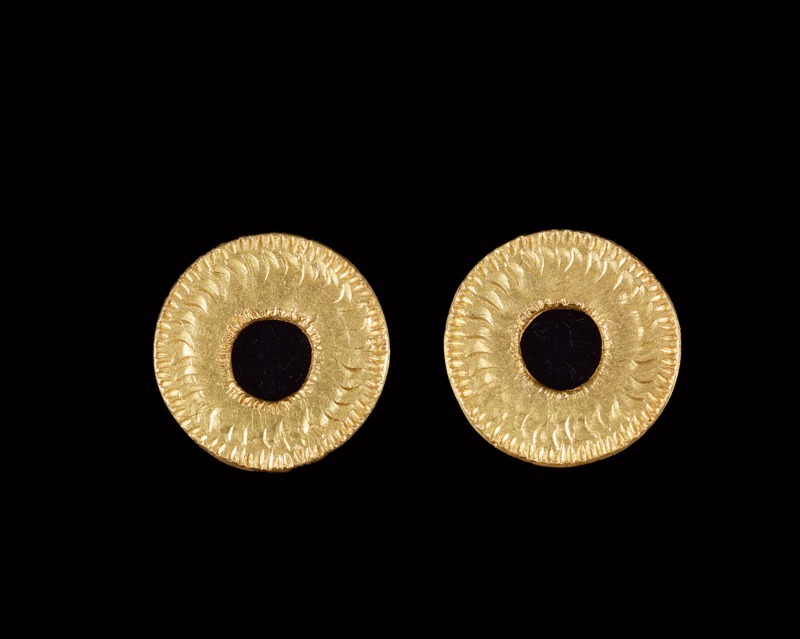 These earrings are part of the New Antiquities collection. They were carved in wax and then cast in 22ct gold. 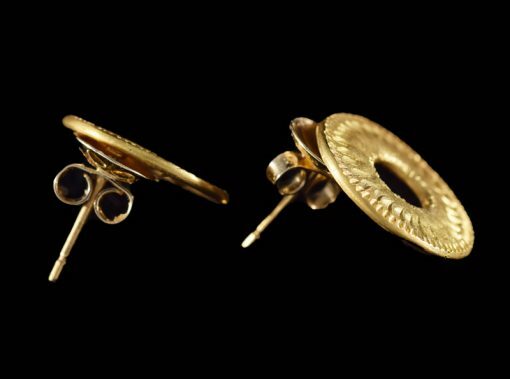 The mould is only used once so there will only ever be one pair of earrings exactly like this. They are approximately 1 cm across, on posts.